I can't believe that I haven't shown you any projects made with the Mini Treat Bag Thinlits Dies! I think I posted a few on my Facebook page and that made my brain think that I'd put them on my blog too. Or maybe it was just sleeping. 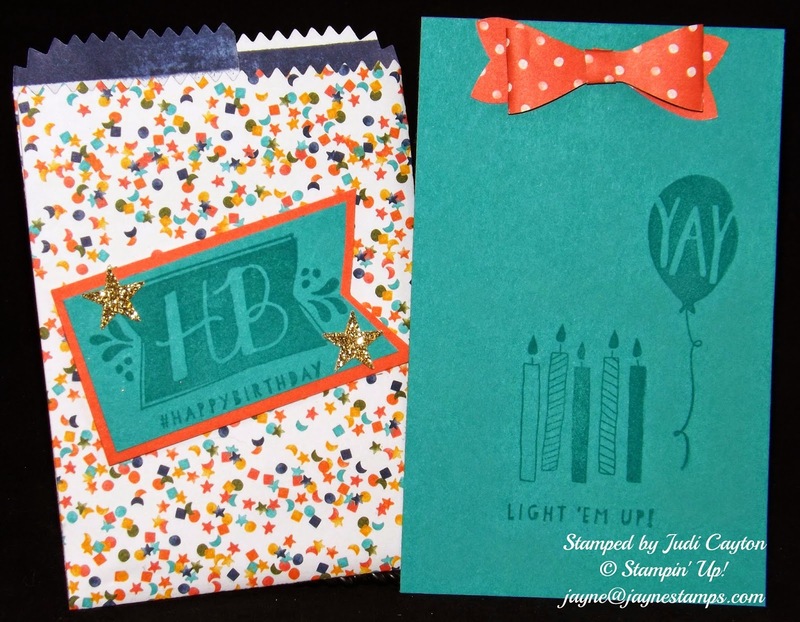 Judi Cayton used the Birthday Bash Specialty DSP and the coordinating Balloon Bash stamp set to make this cute bag with card. 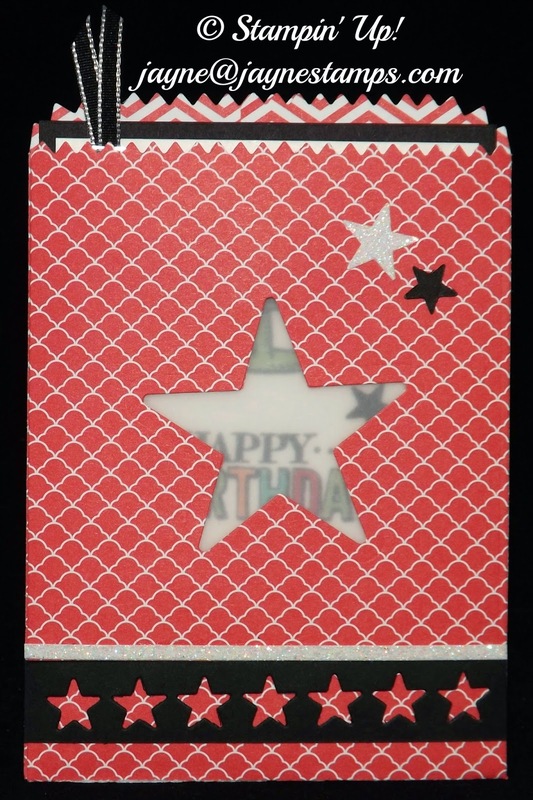 The bow from the Bow Builder Punch makes the "pull" for the card. 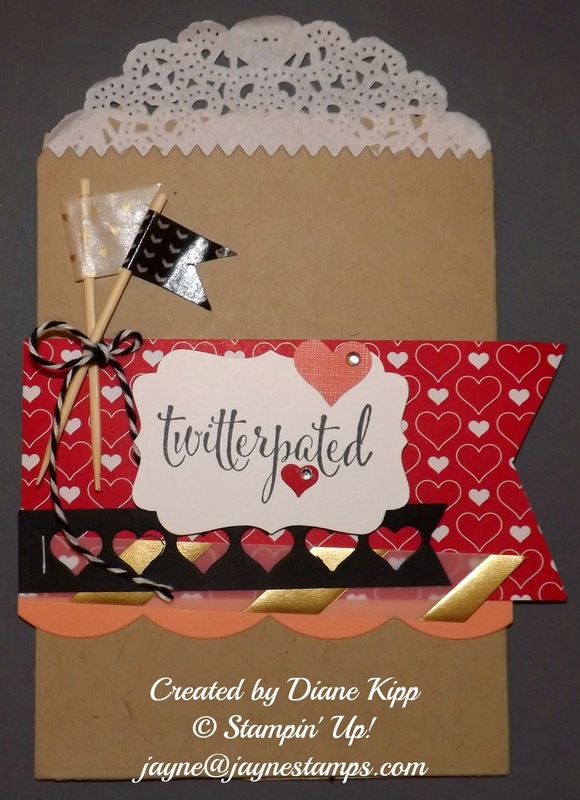 Diane Kipp made this adorable treat bag with Crumb Cake card stock. It may have had a Hershey Bar in it when she gave it to me. I can't imagine what happened to it! This bag was one of our "make-n-take" projects from Ronda Wade's recent Creative Escape. The bag is made from card stock. 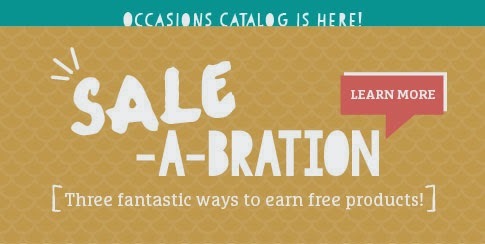 The images are from the Big Day Sale-a-bration stamp set. 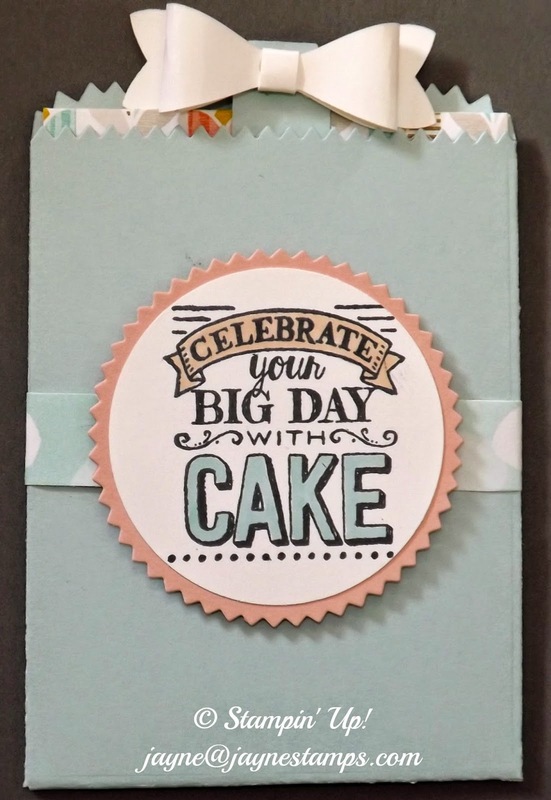 The inside card was made with the Best Year Ever DSP and flips open so you can put your sentiment inside. I colored mine to look like chocolate cake, of course! I love the monochromatic look of the bag above. 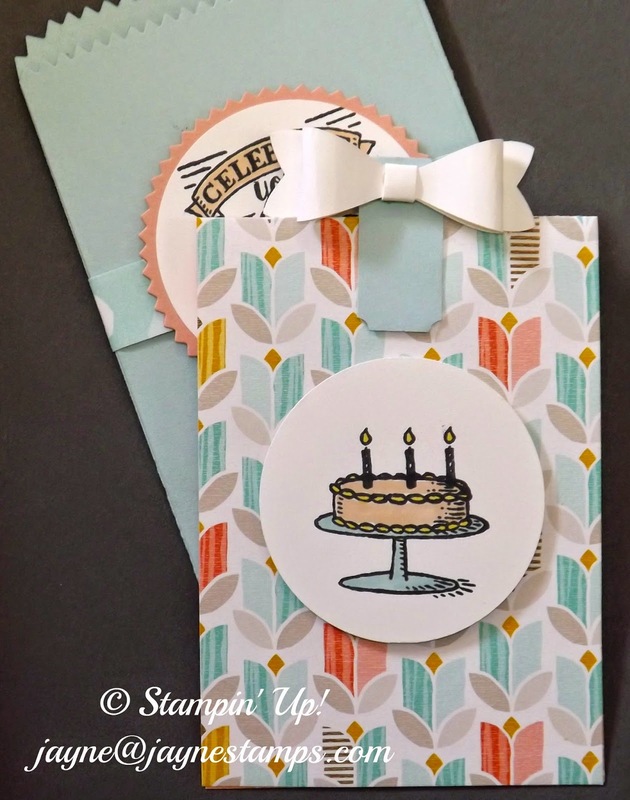 Sheltering Tree is stamped in Crumb Cake on Crumb Cake card stock. This was one of our "pillow gifts" at the Creative Convention. Inside is a package of Itty Bitty Accents Epoxy Stickers. Fun! The bags below were one of my projects for my February clubs and classes. Everyone was able to choose the designer series paper they wanted to use, and to decorate the bag how they wanted. It was one of their favorite projects! 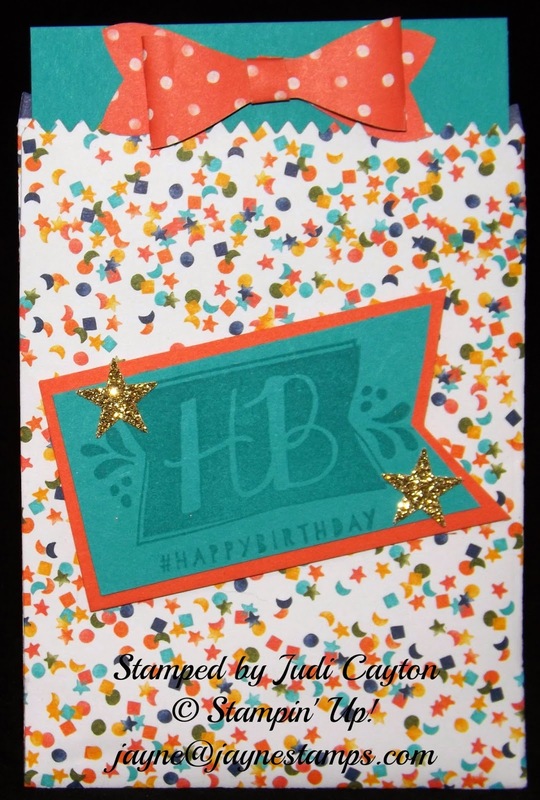 As you can see, you can make little treat bags in any color of paper or card stock to match any occasion. 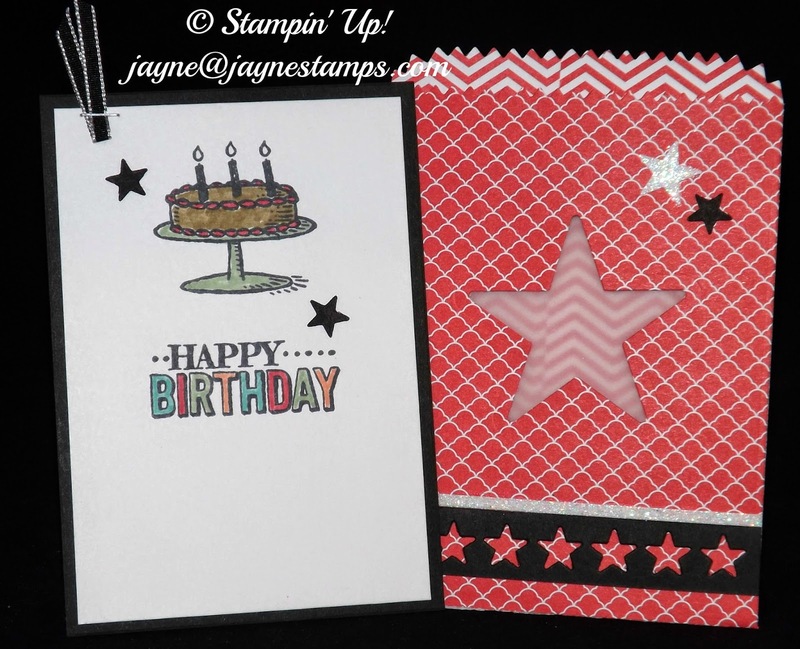 They can be filled with a little goody or you can make a card to fit inside. AND they fit inside a standard A2-sized envelope. Cuteness!